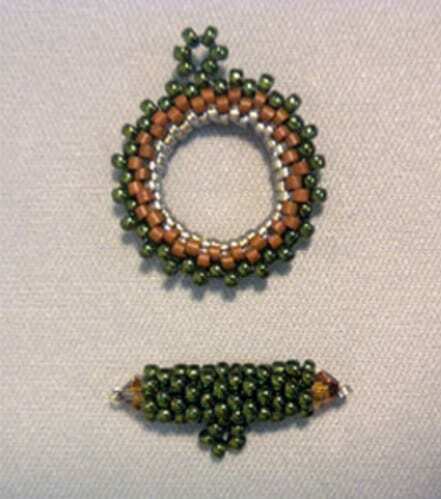 Use peyote stitch in new and innovative ways to make a beaded toggle clasp. Participants will learn to make a round ring and matching bar using Toho round and Miyuki Delica cylinder seed beads. Instructor: Karen Kubby. Prerequisite: round or flat peyote stitch.